Blazer Exhibits can give you the creative and custom exhibit look without having to purchase. 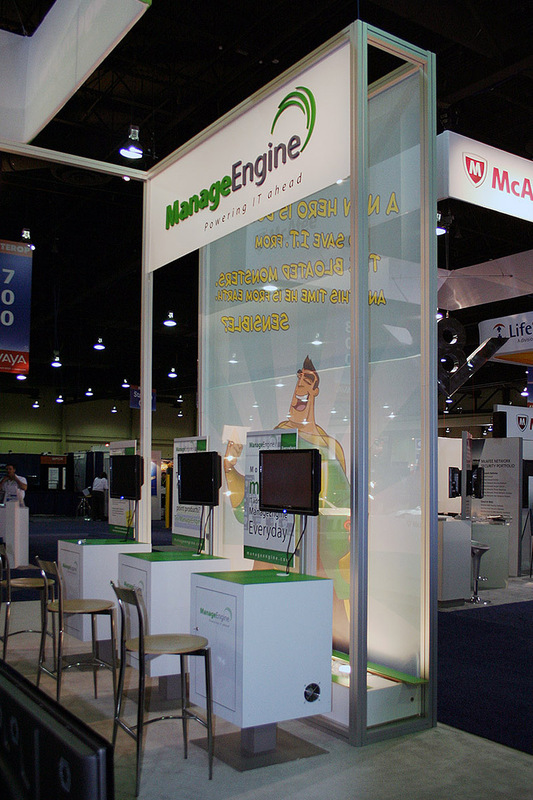 Learn how our experts can create your ideal exhibit as a custom rental package. 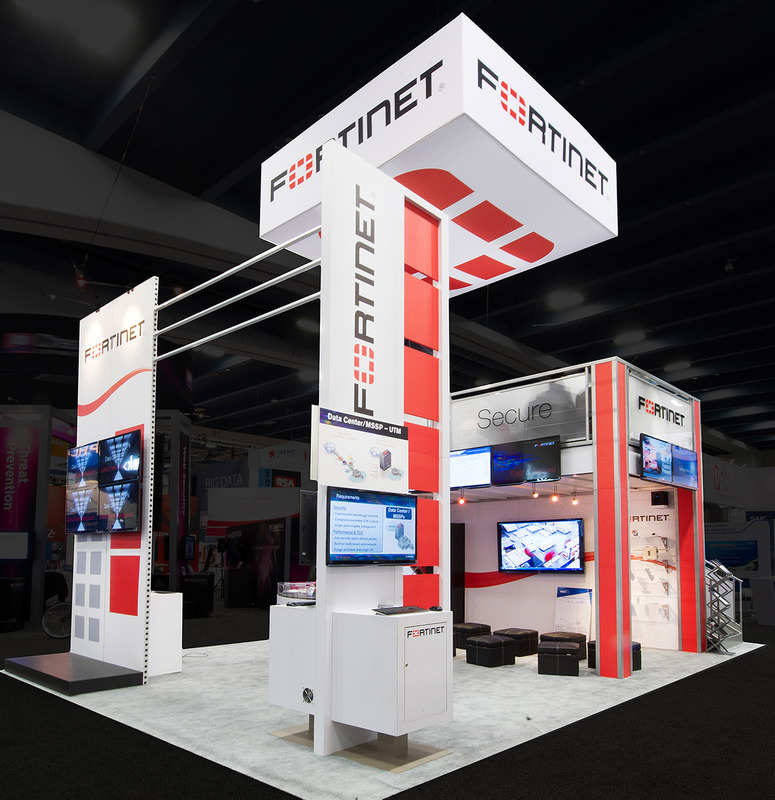 You’re pretty sure that trade show booth rental is the perfect solution for your company. 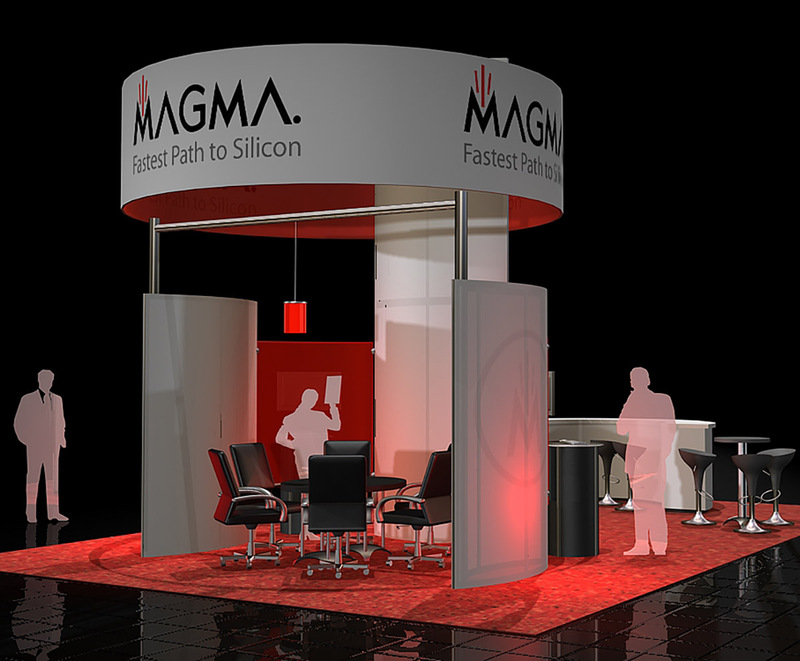 Now, the tough part: what will your booth design look like? There are so many different options, it can be tough to choose. That’s where we come in! 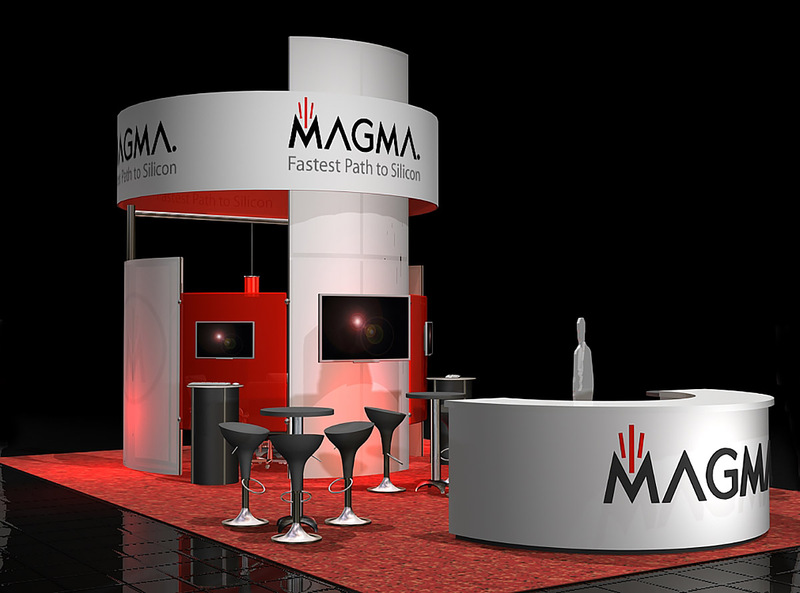 We have been providing booth after booth for over 30 years to customers who exhibit worldwide. Those who we’ve provided trade show rental booths know that we pay attention to even the smallest detail to ensure you get exactly what you want and need, and those exhibit attendees will notice you. Our expertise allows us to serve you in the best way possible, even providing tips along the way to make the trade show as successful as it can be. We sit down with you and get to know your business and the goals you have for your trade show experience. We listen to each detail, getting to know your ideas regarding your “dream exhibit” and helping you to make those dreams a reality. But our knowledge and design skills allow us to tell you when part of your dream just isn’t effective. We’re not here just to provide exactly what you want. Rather, we take your dreams and combine them with our knowledge of what works and what doesn’t, resulting in an effective design that gets you noticed on the show floor and increases ROI. Isn’t that exactly what you want? Once we know what your needs are and your space constraints, we’ll get to work on a floor plan tailored to your brand. When we’re working to bring your vision to life, we take into consideration more details than you could imagine: which materials to use; whether or not lighting will be required; how to use psychology to easily draw visitors in with just a glance; how to mix up different textures to delight their senses; and getting the most effective display into whatever the space on the floor allows. Although you could try to do all of this yourself, we have already gone through the process hundreds upon thousands of times. You just can’t match over 30 years of experience! Skip the trial and error and leave it to the experts. MultiQuad. This is our favorite choice for a number of reasons. It provides you with a high level of flexibility – its modular aluminum frame is able to be reconfigured into an entirely different design on a moment’s notice, allowing you to add Quads when you need more display space, or you simply want to more easily change the look of your display. Numerous accessories complete your exhibit display, like seating or backlit graphics, allowing you to further complement your booth design. We guarantee the configuration you want is available thanks to our Always In Stock™ guarantee. Out of all of our options, this is the one that is the most customizable. Attendees won’t even know that you’ve rented the booth from Blazer Exhibits it is so representative of your brand. Portable Displays. Portable booths are fashioned from an assortment of parts that assemble in a multitude of configurations. 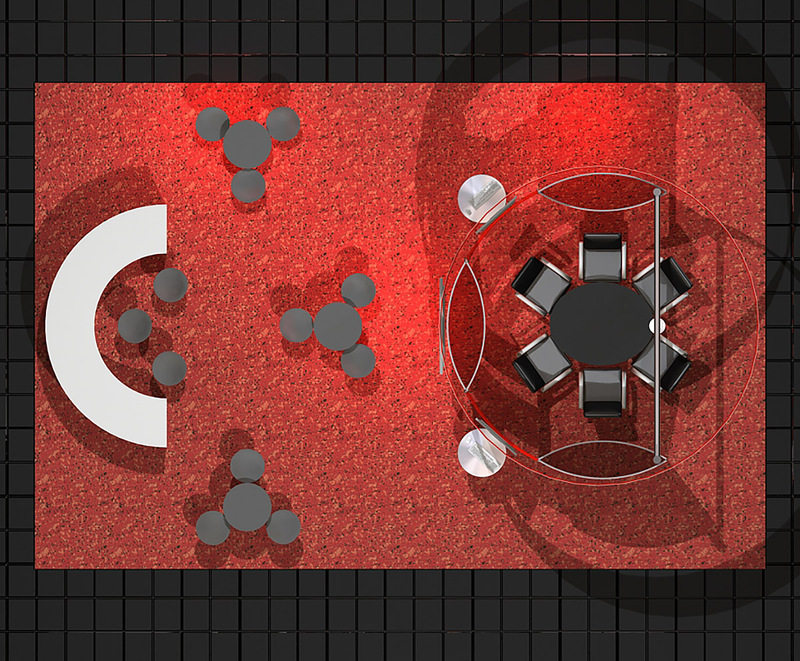 This allows you to have a booth that is perfect for your needs each and every time, even if your wants change. We only rely on the best booth designs in the industry for our exhibit displays, so you can feel confident you’re getting the best money can buy. The graphics will be clean and attractive, and everything is lightweight and easy to assemble. This is the best booth in terms of cost-effectiveness. Kiosks. If you only have a small space to work with or you’re setting up in places that aren’t on the show floor, a kiosk is right for you. You can rent your kiosk from Blazer Exhibits! Accessories. Need racks to hold handouts and other literature? Maybe you want a banner stand set up to grab the attention of all who walk by. Do you need a demo station, or maybe shopping bag racks? All of these items and more are available for rent. Are you planning on testing out the trade exhibit as a new way to grow your business? Don’t let the costs of purchasing a booth get you down – consider renting a trade show booths instead! Whether you need a booth with all of the bells and whistles or a simple pop-up display, we’re able to provide you with the booth you need that will fit your budget, without leaving you feeling like you’ve sacrificed quality and good design. You’ll get all of these things and more thanks to Blazer Exhibit’s experience in the industry. Let us help you get noticed. Then, when you see how effective our rented booth really is, consider purchasing a booth of your very own. We’re happy to sit down with you and answer any questions you may have. Don’t let the trade show and its associated costs scare you – there is a more affordable way! Are you in need of exhibit rentals in the immediate future? Are you in need of good exposure for your services and products? Perhaps participating in a trade show soon is an important move for your company right now. What is a trade show? A trade show is a huge trade event held annually by an industry’s trade association. Many trade shows want to facilitate and encourage dialogue between distributors and manufacturers. Others focus on the user. It is cost-effective. A rental trade show exhibit offers every company the opportunity to draw in potential clients and promote their brand as well. The company can achieve these without spending a fortune. Delivering the company’s message to their target audience is cheaper with a rental trade show exhibit than purchasing one. If you are searching for a rental exhibit for the next trade show, look for an exhibit house that has a huge rental inventory. This type of rental allows you to have an exhibit that has all the things that you want within your company’s budget. It provides flexibility. A trade show rental booth gives flexibility. They allow marketers like you to adjust, remove, or add elements to their exhibit so they can fulfill the needs of their company. They can do this without the mandate of owning the actual booth or exhibit. Rental booths also allow marketers to try new concepts in branding. They even enable the company owners to evaluate the results of the exhibit. This way, the company can determine if it is advantageous to purchase the exhibit. 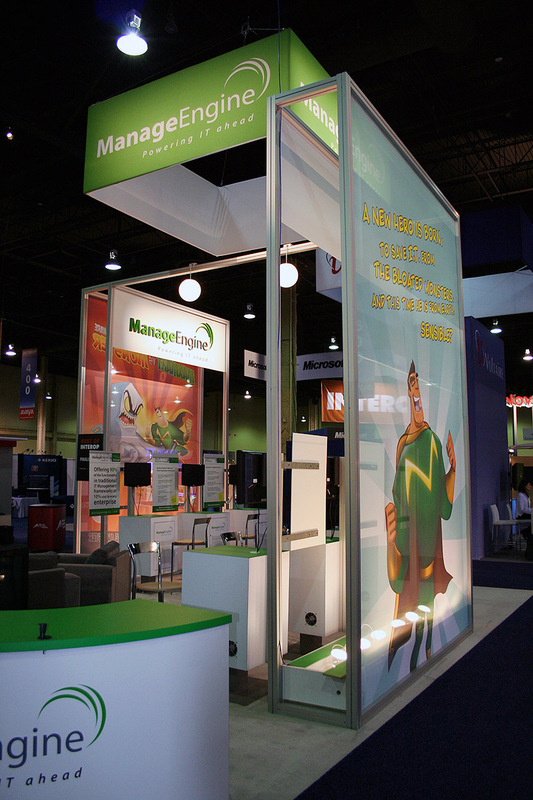 Renting trade booths also allows easier expansion of exhibit components according to the scale of the trade show. It has a wide range of options. Company owners find it easier to benefit from the exhibit without owning it. An ideal trade show rental booth offers portable, custom-designed, and modular exhibits that conserve the company resources and attracts attendees at the same time. It also makes it possible for any company to rent more than one exhibit or change exhibit designs and styles for different shows. It allows you to rent accessories. You can enhance your rental booth with more accessories, which you can easily rent. The additional accessories add more functionality and substance to every exhibit. You can rent tables, workstations, counters, technology, kiosks, and shelves. Members of your company’s exhibit team can even store their belongings and other materials as they interact with potential clients. It saves the company time. Any company saves time with a rental trade show booth. There is ready on-site communication and a fast turnaround. You can also save money because you do not need to worry about shipping the exhibit yourself. It makes trade show events memorable. Meetings and anniversaries are made even more memorable with the customized features and highly skilled installation.